Palm Harbor Homes Elmendorf, Texas Hot News: Buy One Get One! Sale End 9/15!! Check out these GREAT GIFTS!! Go To palmharbor.com > Model Centers > Texas > Elmendorf, TX > Hot Items > Buy One Get One! Sale End 9/15!! Check out these GREAT GIFTS!! Buy One Get One! Sale End 9/15!! Check out these GREAT GIFTS!! That's right! Just ONE WEEK left for you to choose FABULOUS gifts when you purchase your new home in our Buy One Get One! National Sale! You buy a single section home - You choose any ONE of our Amazing GIFTS! >>> A 50" HD TV, a PS4 or Xbox 360 Gaming Console or an I-pad or a Tablet. You buy a double wide home - You choose any TWO of our Amazing GIFTS! >>> A 50" HD TV, a PS4 or Xbox 360 Gaming Console or an I-pad or a Tablet. 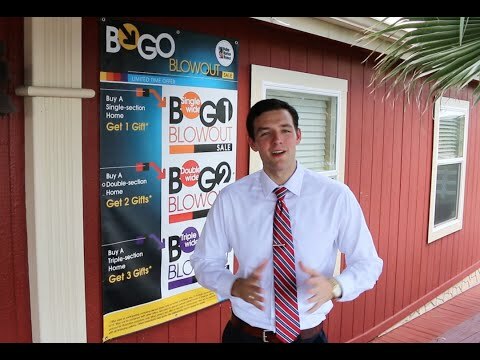 You buy a triple wide home - You choose any THREE of our Amazing GIFTS! >>> A 50" HD TV, a PS4 or Xbox 360 Gaming Console or an I-pad or a Tablet. Buy a single wide and choose one free gift. Buy a double wide & choose any two free gifts and buy a triple section you choose ANY THREE of our gifts for your new home! Come see why you get more home for your money at Palm Harbor Homes in South San Antonio, Texas!